In 1990, I took instructions for calling from Bob Fehrmann (now deceased) and Mike Corns in the St. Louis, Mo, area and then began teaching and calling in 1991. 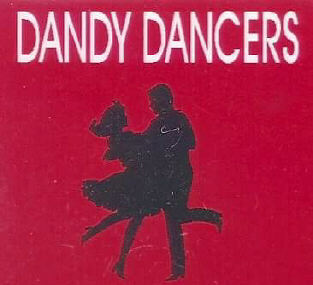 I call for Dandy Dancers in Fairview Heights, IL; St. Peters Squares in St. Charles, MO; Ladies Mainstream in St. Louis, MO; and Waterloo Quadrilles, Waterloo, IL. In the past, I have called for Circle Eights, Pekin, IL; BNB's in Creve Couer, IL; Caterpillar Squares in East Peoria, IL, as well as several other clubs no longer in existence. I am a member of the St. Louis Callers Guild and the American Callers Association and previously was a member of Callerlab and Illinois Square Dance Callers Association. I yodel in two or three songs. I have called at National Square Dance Conventions: 1993 St. Louis, Mo; 1995 Birmingham, Al; 1996 San Antonio, Tx; and 1999 Indianapolis, In. I called at the Illinois State Square Dance Convention in 1991 (filling in - not on program) and every year thereafter until roughly the second year it was held in DeKalb, Il.